Change is always happening; you can resist it or you can get out ahead of it and create what YOU WANT. Self-Leadership is getting out ahead of it and being a DELIBERATE CREATOR in all areas of your life: career, home, finances, love, relationships, community, mental & physical health, sexuality, creativity, learning, and play. It’s about living YOUR dreams, not someone else's. Being clear about WHO YOU ARE in the world. Realizing that your thoughts are turning to things and taking control of what you think and how you feel. I work with heart-centred women and men who want to add Soul to their goals and lead themselves. Living life at their next top level. Deliberate Creators. love achieving your goals and want to accomplish them with the ease, flow and fun that co-creating with the Life Force Energy of the Universe brings? see your life as your art? 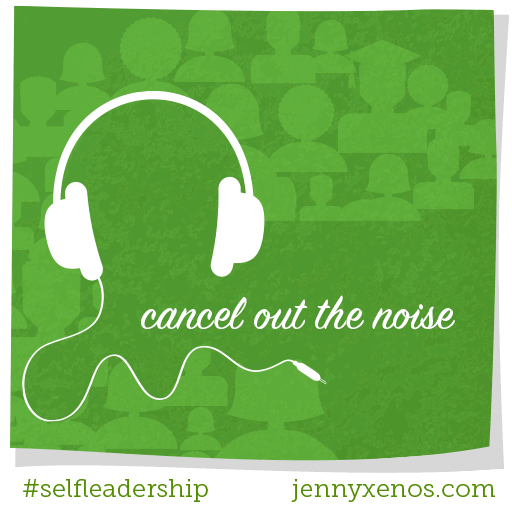 want to keep the noise out so you can tap into your personal power and Infinite Cosmic Intelligence? know you're a spiritual being having a human experience and want to express the whole of who you are in everything you do? feeling accomplished to a certain point, but want more? excited by your dreams and don’t want to hold yourself back any longer? an entrepreneur who wants to build a heart centred business with your own Soul's guidance? or working in an organization in the high tech, legal cannabis or other fast-paced dynamic industry, and are transitioning into a new role or want to get ready for a new level? not interested in the status quo or playing somebody else's game. You want to succeed in a way that’s true to you. Yes? Then 1 on 1 Self-Leadership Coaching or Mentoring with me could be for you, so read on! The progress of the world depends on the progress of each individual. Leadership is for everyone. understand that you are free to choose what and how you think, how you feel and subsequently, the inspired action you do. This is how our inner world creates our outer world. learn how to interpret your emotions as a guidance system to your own truth and bliss. Joseph Campbell said "...follow your bliss and don't be afraid, and doors will open where you didn't know they were going to be." He knew what he was talking about! Do you want to do this? move forward understanding different types of fear and how to ride uncertainty to fuel your growth. leave behind limiting beliefs and create new empowering ones. rewire your thinking to have a powerful, positive, solution focused, mindset. You’re here, on this planet right now, to create and live your best life. To play at your best! This is how you can serve the world. You are powerful, and you have the ability to lead yourself to wild happiness, and fall crazy in love with your life. To rise and be your own guru. give yourself permission to revel in unabashed joy and freedom. Your joy is the fastest way to what you want! increase your resilience to constant change so you can bounce back and adapt quickly. #winning! fall in love with yourself and your life. That’s a sweet way to live! know yourself, your why, and align your actions and words to your values. Living in integrity is the surest way to having what you want. shift from negative -> positive self talk. Always know your self-worth and advocate for yourself. prioritize self care, play and rest. Truly love and respect yourself! Check out the IMPACT page to read the stories from some of the incredible people I've worked with. If you have the desire and the dream, then you have the ability to live it! If you want to get ready for it, then keep reading and book your free Discovery Call with me. Coaching with me is a highly personalized journey, customized to YOU, within a powerful, successful framework. In your 1st session we'll identify your Core Values, your personal Why. We'll then set your overall intention, your personal measurements of success, and a process of transformation to move forward with. The science in our work comes from using proven processes and techniques to get results. When you understand how to create transformational and lasting change, with a powerful positive mindset, you know the value and mastery in creating a sustainable process with new habits that nourish and support your evolution. Success comes from consistent application, with joy and satisfaction. Backing us up will be my ICF accredited Erickson Solution Focused Coach Training, my ongoing research in psychology; physiology; neuroscience; philosophy; spirituality; and the world’s wisdom traditions; my immense study and application of the teachings of Abraham-Hicks; LOA; and my 25+ years of experience at the leading-edge of the business world. The art comes as you bring all of you and your uniqueness to our work and I’m fully present to you, with my heart, mind and intuition in alignment, so I know the right questions to ask at the right times. And we get creative! It's like a masterful dance between two people who trust each other, and create something new, beautiful and dynamic within the moment. The power of our work is in our relationship. It's a strong partnership. I'm with you, guiding you as you open up to your next level. I believe in you and challenge you to empower yourself to fulfill your potential, again and again. Together, with your willingness, resourcefulness and commitment to yourself, we'll create the transformations you want. And we'll be having fun along the way! During the call we’ll talk about what you want, your goals, and your specific situation, and you can ask me anything. If we both feel we're a great fit, we'll discuss the best options for you. Come on over to the IMPACT page to read the stories from some of the incredible people I've worked with. Do you manage a team? I specialize in Self-Leadership coaching for individual contributors within teams. If you’d like your people to rise up and develop their personal leadership skills contact me to discuss a coaching package or my dynamic 2 hour workshop: The Art and Science of Personal Leadership with The Desire Map . Currently, only 13% of the global workforce is highly engaged in their job! Engagement is about INSPIRATION and inspiration is an INSIDE job. I’ve created an interactive 2 hour workshop: The Art and Science of Personal Leadership with The Desire Map that teaches the science of happiness and how to tap in to your own inspiration to understand your own personal why, and use that as fuel for achieving your goals. The key to leadership isn’t in what we do, but in who we are. I mentor women who are in the 1st 10 years of their career, particularly in the fast-paced, dynamic tech industry, the emerging legal cannabis industry (it will be faster than tech) and other male dominated fields. Because I’ve been where you are and I get it. If you want to move forward faster and accomplish your goals with Soul in a fulfilling way that's true to your personal values, then let's talk. Do you want to get ready to lead yourself? Self-Leadership is about leading yourself and thriving on all planes: mentally, emotionally, spiritually and physically. I live & love my life on all 4 planes. If you do too, or want to, then let’s talk and see what working together would be like. Nothing less than an F* Yes from both of us will do! Our coaching or mentoring sessions will take place via phone or Zoom (audio). Tele-coaching is exceptional for helping you access the most resourceful area of your brain, where your creativity and solutions come from. And you can be traveling and still rely on the cadence of our coaching! All packages are based on an initial 4-month engagement; to ensure progress in the solution and coz I love working with people who commit to themselves and their happiness, growth and success! After that, you’ll have the option of renewing that agreement, or moving up to other packages I've specially designed for returning clients. You'll get all the details in your Complimentary Discovery Call. I hold your vision, who you’re becoming and your values and dreams, whole and true, in the sacred space of our partnership, for the duration of our work together. I meditate before each session, to clear my mind and prepare myself to bring you my best, through my own connection to my own Soul. If you want to LEAD YOURSELF and DO IT YOUR WAY, then I can help you. If you like to be challenged, with respect and love, in an empowering way, then book your Complimentary Discovery Call with me now. I love sprinkling good stuff everywhere I go, so for many years I've volunteered as a Mentor and lead Self-Leadership Workshops at the YWCA, and I've made monthly donations to the YWCA Vancouver, among other philanthropic organizations. Your investment in yourself plays a part in this - thank you! PS. If you’re not totally ready yet, that’s OK - sign up below for the wisdom and tools and tips I’ll send to you once a month and start revving up. Plus, you don’t want to miss out on understanding exactly what your emotions are telling you so you never doubt yourself again! This is BIG! Once I began to understand this, everything changed. Sign up below and get your free copy of YOUR MAGIC COMPASS.